I hope everyone had a wonderful Easter! I had a great day with my family, making special memories and eating of course! We pretty much ate all day long. My mother and sister came over in the morning, we had a big breakfast together and then they helped me prepare our Easter dinner. We made the traditional ham and mashed potatoes, roasted broccoli and salad, but being Italian we had to have Lasagna and Peetz (fried bread dough) as well. 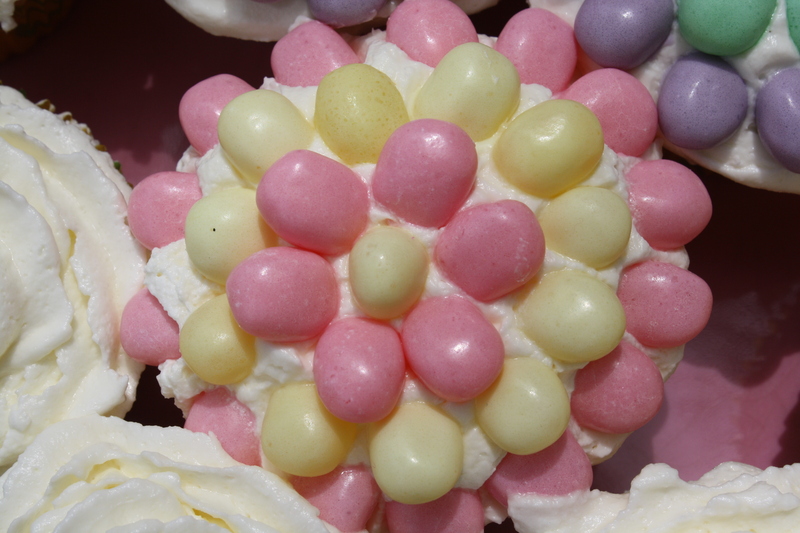 For one of the desserts I made these Blooming Candy Cupcakes. I found the recipe in my Phyllis Hoffman Celebrate Easter magazine. 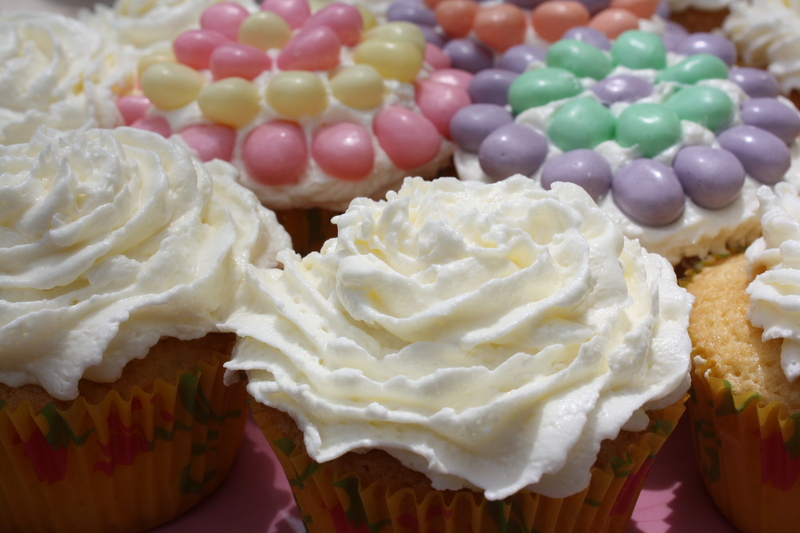 The cupcakes had a light lemon flavor and the frosting was light, fluffy, and delicious! 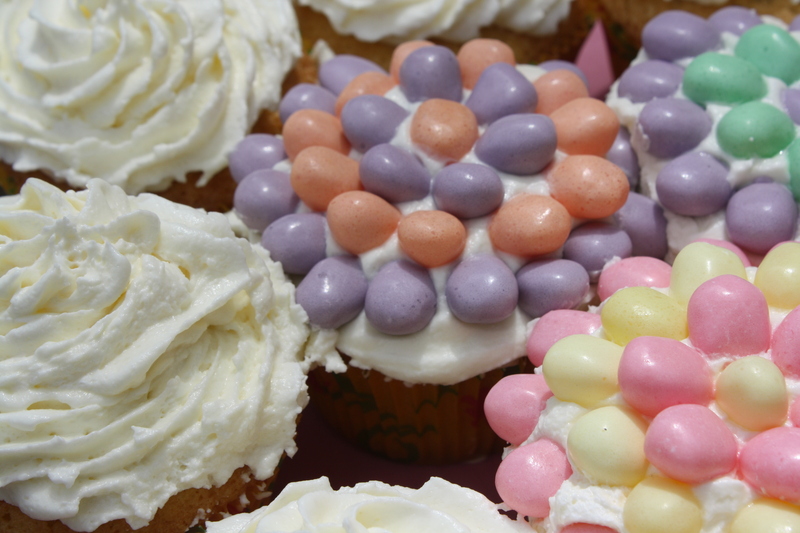 The candy was cute but I preferred the cupcakes without any on them, so I did some with and some without. I think I’ll be eating light for the rest of the week to make up for all the calories consumed on Easter (It was so worth it though)! In a medium bowl, sift together flour, baking powder, and salt twice; set aside. In a small bowl, combine half-and-half, vanilla, and lemon extract; set aside. In a separate medium bowl, beat 3/4 cup sugar and shortening at medium-high speed with an electric mixer until light and fluffy, about 4 minutes. Add egg yolks (reserving whites), one at a time, beating well after each addition. Add flour mixture to shortening mixture alternately with half-and-half mixture, beginning and ending with flour mixture. Beat until smooth. Stir lemon zest into mixture. In the bowl of an electric mixer, beat egg whites and cream of tartar at medium speed until soft peaks form. Increase mixer speed to high; gradually add remaining 1/4 cup sugar. Beat until stiff, glossy peaks form. Fold one-third of egg-white mixture into cake batter; fold in remaining egg-white mixture. Divide batter evenly among prepared pans, filling each cup two-thirds full. Bake for about 20 minutes, or until a wooden pick inserted in the centers come out clean. Remove from oven; cool in pans for 10 minutes. Remove from pans, and cool completely on wire racks. 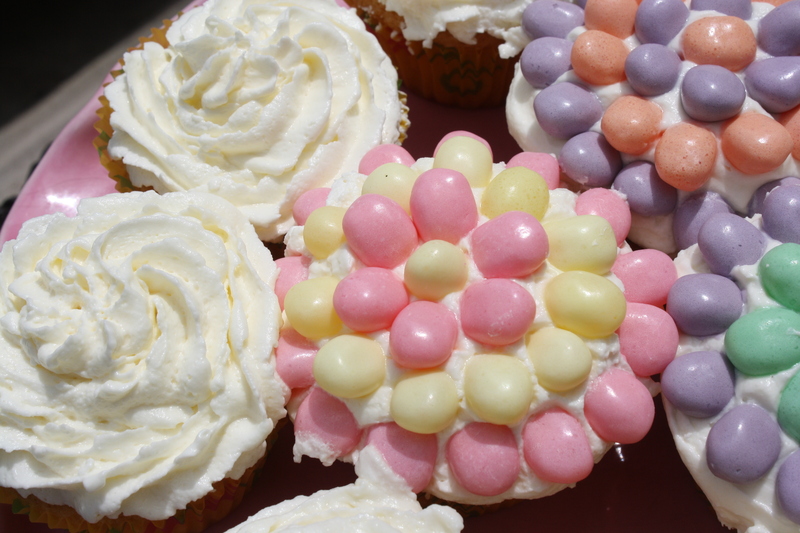 Spread Marshmallow-Cream Cheese Icing onto tops of cupcakes. Garnish as desired with assorted jelly beans. In a large bowl, beat cream cheese at medium speed with an electric mixer until smooth. Add marshmallow creme, and beat until combined. Add whipped topping and beat until smooth. Use immediately, or refrigerate for up to 3 days. In a large bowl, beat butter, cream cheese, and peppermint extract at medium speed with an electric mixer until creamy. Gradually beat in confectioners’ sugar until smooth. Beat in green food coloring, one drop at a time, until desired color is reached. 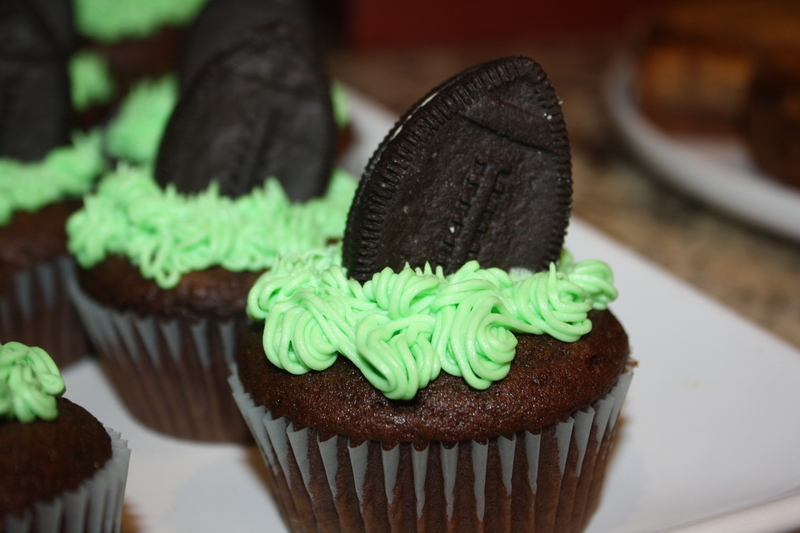 Use a grass tip to pipe frosting on top of cupcake.